Evie Snow was the love of Vincent’s life; in fact, she was the love of every lifetime he would ever live. Though he never stopped loving her, and he certainly could never forget her, events conspired to separate the two lovers. Now, Vincent has the chance to make right a mistake from his past and to potentially alter the course of events in his and Evie's favour. While doing so, he realises he has embarked on a journey that will teach him all about love, life and humanity; but one thing he does not know for sure is whether it will lead him back to the only woman he every loved. First of all; this is the first time I am reviewing a Novella and it is really an exciting thing to be doing! 1) Because it changes things up on here and 2) it may just prove that short stories are just as good as novels. Anyway, if you know me well you will know that I am a huge fan of the beautiful Carrie Hope Fletcher and earlier this year she released her debut novel - On The Other Side. The review for that is here. So when she announced she was releasing a novella to accompany the book I went into excitement overload. I preordered it and got it a few days early. As soon as I saw it I was over the moon. The book is so gorgeous and fragile and I couldn't wait to get into it. Evie Snow was and still is the love of Vincent Winter's life. When life tore the two lovers away, he never stopped loving her and certainly never forgot her. Now, Vincent has the chance to right mistakes from his past and to potentially reach Evie in her personal heaven. While doing this he realises that he has taken on a journey that will teach him all he needs to know about life and love, before hopefully being brought back to the only woman he ever loved. This is a very short story, only being 48 pages long but a lot was put into that small space and every word told a story. I became so engrossed in Vincent and his journey that I didn't want it to end and kept wanting to know more and more and to have the story carry on. It was so interesting reading about Vincent and his story and seeing him embark on a journey that would ultimately lead him to his true love. I love Vincent as a character in On the Other Side and this just made me fall in love with him even deeper. He's an intriguing, unique, slightly crazy male lead and that just makes him even easier to love. What I love about Carrie's writing is that it's so personal and also rather magical. When reading this I got the same spellbinding feeling that I did when reading On the Other Side and it did give me goosebumps all over. I could hear Carrie's voice in my head when reading this and I love when that happens when I'm reading stories. The world she has created is wonderful and it was just so amazing that she decided to build on it just that little bit more. The originality of the whole world is something else that is just fabulous and I ate every single bit of it up. Winter's Snow was just an amazing, magical, creative novella and I was gutted when it came to an end as I just wanted to carry on exploring Vincent's side of the story as I feel that it could go further. Carrie has proven to me again that she really was made to write fiction. She has true potential. 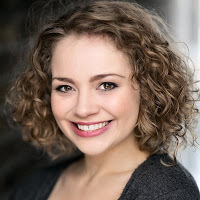 Carrie Hope Fletcher is an author, actress and singer. 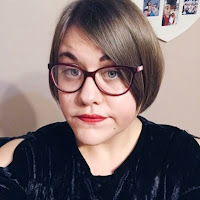 Known around the world as an 'honorary big sister', she offers advice and support to hundreds of thousands of young people via her ItsWayPastMyBedTime Youtube channel. Both her first book, All I Know Now, which was part memoir, part advice manual for teens, and her debut novel, On the Other Side, were number one Sunday Times bestsellers.